Poodwaddle is an excellent resource to highlight the dynamic nature of statistics (and to question the origin of and veracity of data). 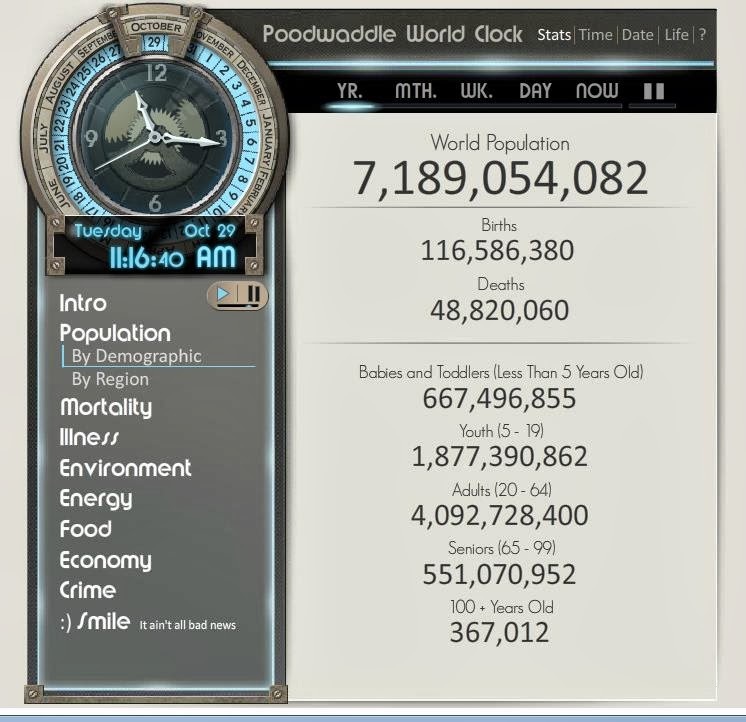 There are many such population clocks available on the Internet but this clock does a little more than most. It breaks much of the data into regions and various categories and shows more than just population. The clock also counts mortality, crime, illness, environment, energy, food, economics and even happy things like 'first kisses' in real time. The site also hosts a life expectancy test to personalise the data. Obviously questions arise on the reliability of the data but the clock provides a great entry or teaching point on demography and diversity around the world.